These dynamic stamps are wonderfully showcased on this stunning envelope. There is likewise a special cancellation for the first day of issue. 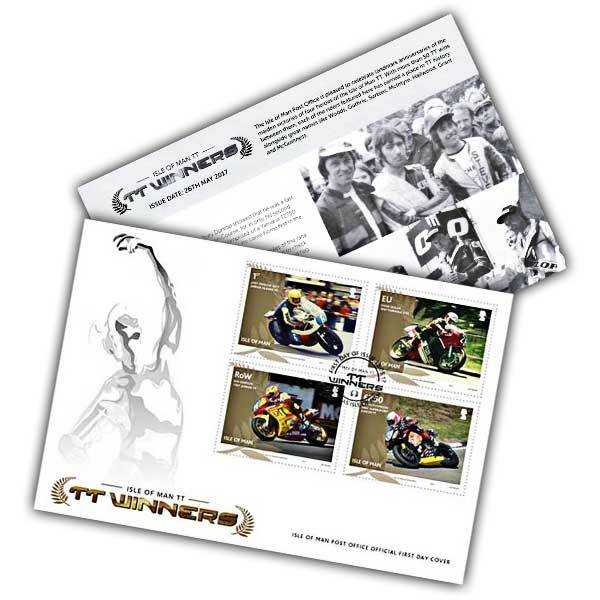 Along with the stamps is a representation of Mercury, the winged messenger of the gods from Roman folklore, as seen on the top of the Senior TT Trophy. 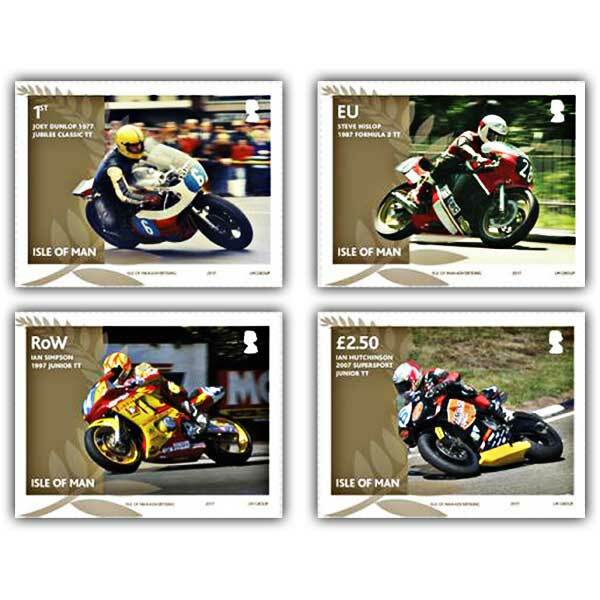 Finishing this collectable is a filler card with interesting text composed by motorsport author and Isle of Man resident, David Wright.